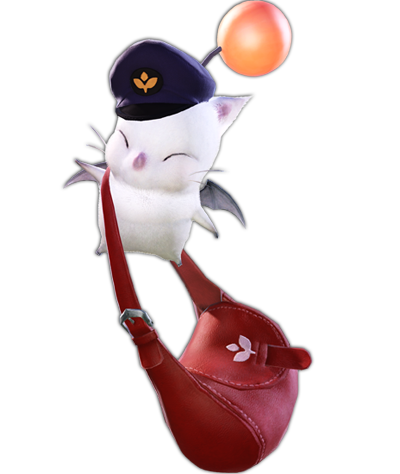 The Moogle Delivery Service is a convenient way to send messages, items, and gil to anyone on your Friend List. 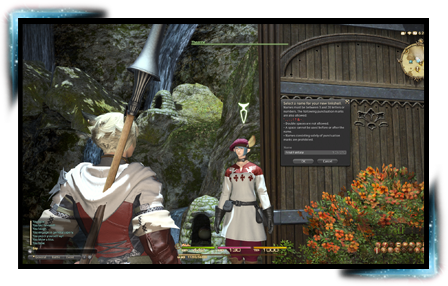 When you receive a message, a notification icon will display at the top of the screen. 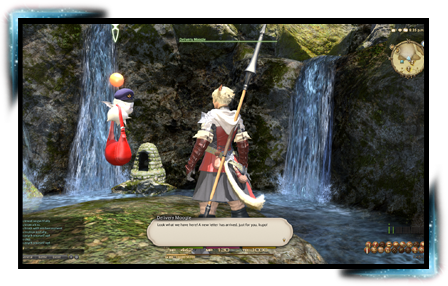 To view the message, simply speak with a delivery moogle at any city or outpost. 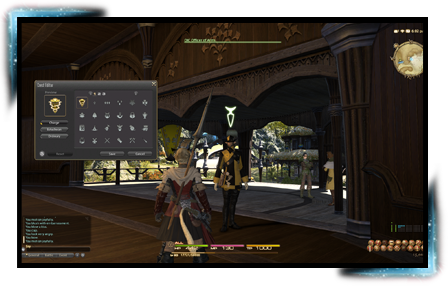 Linkshells are chat groups which allow for quick and easy communication between players regardless of their location. To create your own linkshell, simply speak with a linkshell distributor in any of the three cities. You can invite up to 128 other players to join your personal chat channel. Free companies are adventurer-run organizations which serve to facilitate cooperation between individuals. To form a free company, you must first submit a free company petition after acquiring signatures from three other players. Adventurers may join a free company regardless of the Grand Company to which they are sworn. After forming a free company, you will be given the option to design your own crest. Choose from a number of shapes, accents, symbols, and colors to create a design to represent your cause. 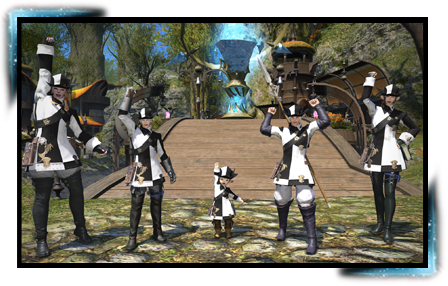 Crests can be displayed upon certain gear, so you can quite literally wear your allegiance on your sleeve. There are myriad benefits to being part of a free company. 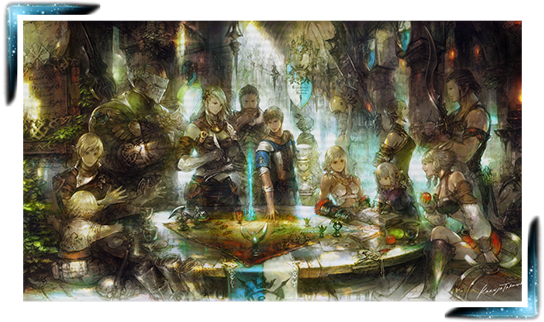 Each company has a chest whereby members can jointly store items and gil. There are also company actions which grant members bonuses such as increased experience points. Perhaps the most sought after of all perks, however, is the ability to purchase estates and build residences to serve as a base of operations.